Earlier in the year, I had published an article on eLearning Trends And Predictions For 2017. 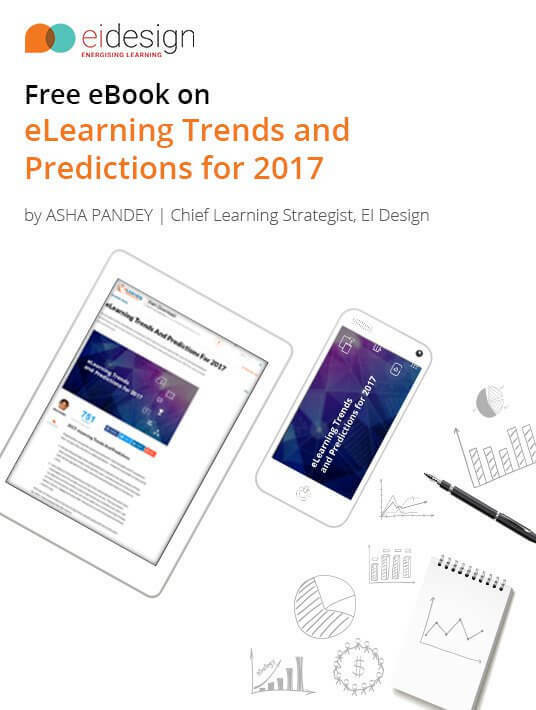 This free eBook on eLearning Trends And Predictions For 2017 is a ready reckoner and an expanded version of the article with additional insights in the form of quotes and compelling stats on each aspect. This free eBook eLearning Trends and Predictions 2017 is designed to be a ready reckoner as you plan further investment on training in 2017 and are on the lookout for ways to enhance employee performance. 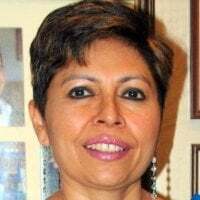 As the Chief Learning Strategist for EI Design, I have practical experience of architecting eLearning and mLearning solutions (including performance support) for customers globally for over 15 years. I also head our Learning Innovation Lab initiative and closely track the changing landscape of tools, technologies, learners’ expectations, and business needs. I have combined my practical experiences and pointers from our on-going research and exploration to create this eBook. I also believe that looking at eLearning trends and predictions becomes more meaningful when it provides you with inputs you can use. This was exactly my objective, and this eBook on eLearning Trends And Predictions For 2017 will provide several pointers that you can use to uplift your current learning strategy (better learner engagement and other measures to create the impact businesses need to see). Each trend and prediction is prefaced by an apt quote that sums up its relevance or value proposition. Along with each trend, I have added stats that give you good reasons why you should adopt this. I am sure this would make an interesting read. Measuring learning effectiveness or learnability of online courses. Usage of Virtual Reality (VR) and Augmented Reality (AR) for learning. Wearable technology for corporate learning. 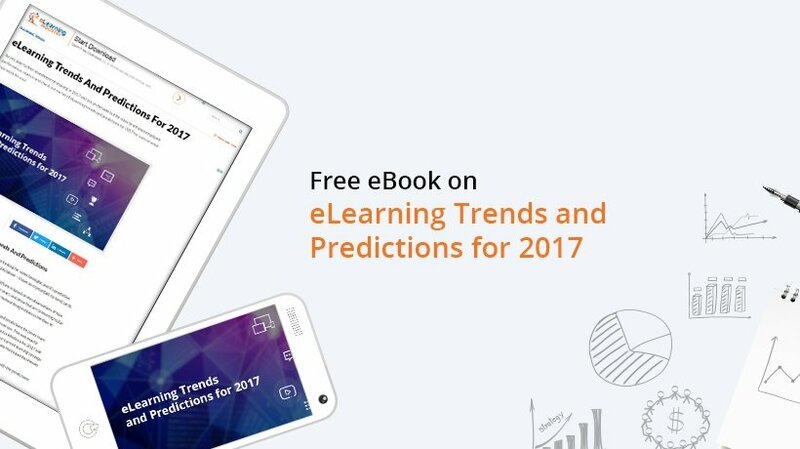 I hope this free eBook eLearning Trends and Predictions 2017 will give you ideas you can use and enhance your learning strategy in 2017. If you have any specific queries or would like to see the impact of any specific trend or prediction, do contact me at apandey@eidesign.net.